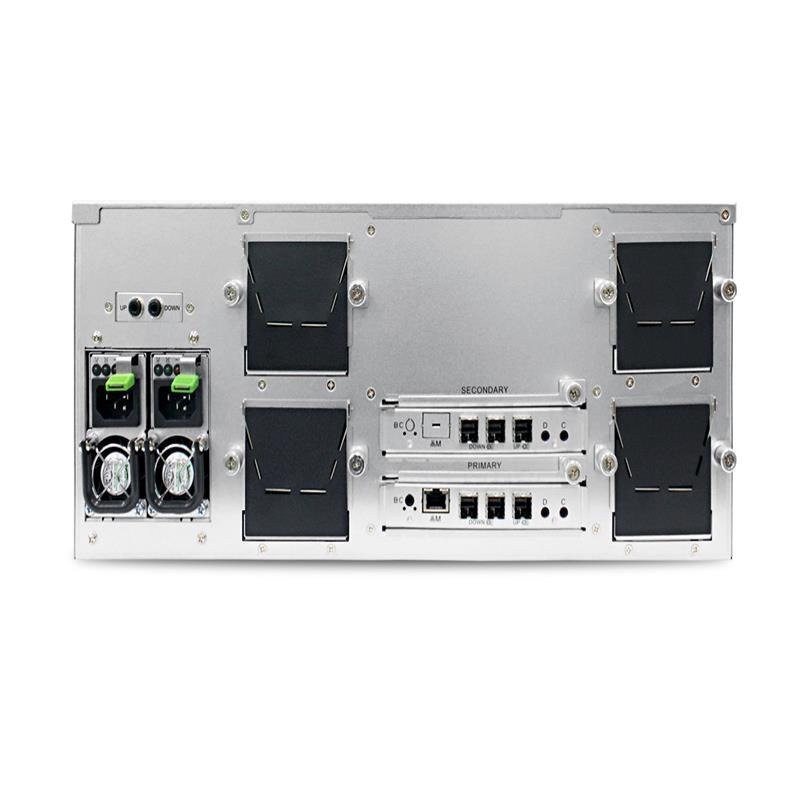 The HA401-LB2 is a 4U 24-Bay Cluster-in-a-box solution offering high-availability in an active-active configuration and supports 12Gbs SAS. 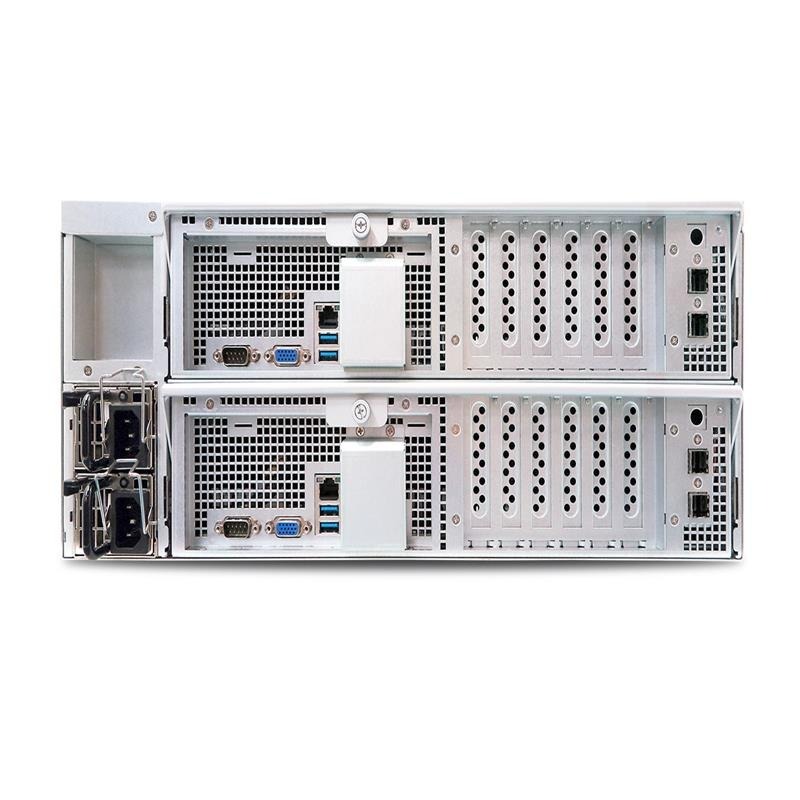 It is Open-E JovianDSS High Availability Ready, and comes with two AIC Server Boards (one per node) that are each supporting dual Intel® Xeon® processors in the E5-2600 v3 and v4 product family. Overall cluster performance is significantly increased as both nodes process I/Os and provide simultaneous and balanced access to the logical devices. 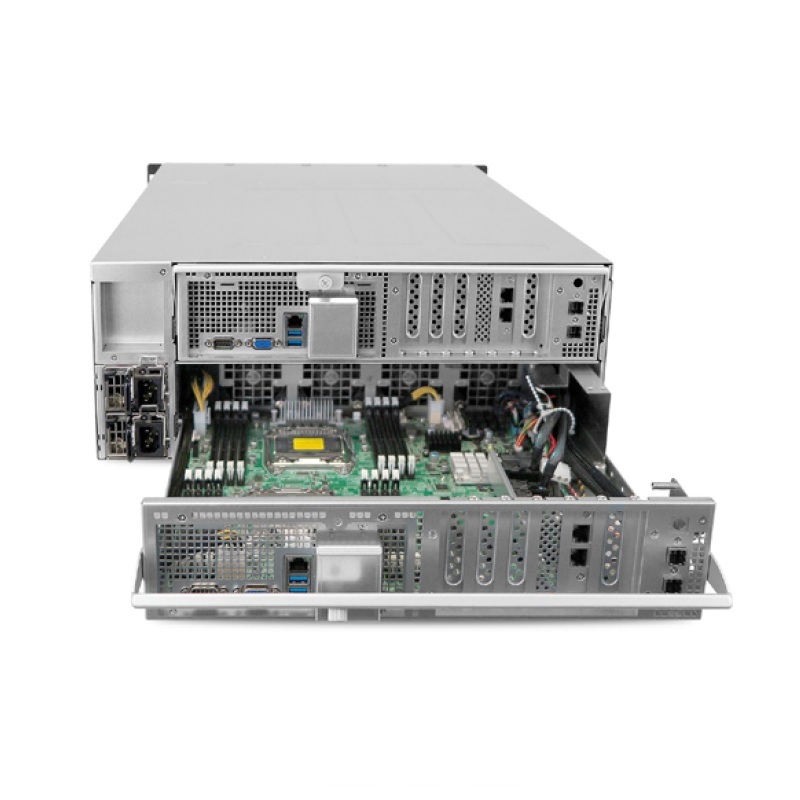 The HA401-LB with Open-E JovianDSS eliminates single point of failures and is optimized for mission-critical, enterprise-level storage applications. Data is your most important resource. This is why the Open-E JovianDSSbased HA401-LB2 includes several mechanisms for data protection. Automatic and scheduled multi-layer data integrity checks ensure data consistency, while unlimited snapshots and clones make it is easy to implement a disaster protection strategy and to instantly roll back to a previous point-intime. At the same time, a scheduled self-healing mechanism fixes malfunctions and automatically restores full data redundancy in the system. Even when a disk fails, the software-based spare function offers one disk to several RAID arrays, saving you money on extra hardware without compromising data safety. The HA401-LB2 will let you experience unlimited flexibility and minimize unappreciated downtime. Open-E JovianDSS uses a 128-bit file system that includes unlimited snapshots for easy backup, unlimited clones for easy duplication, unlimited capacity with volume sizes up to one Zetabyte, as well as unlimited amount of disks which can be increased on the fly without effort by using thin provisioning. There are no limitations and you may easily control the total cost of ownership and expand your storage infrastructure as data grows. Nowadays, enterprise storage has to provide big capacity while also being fast, affordable and include reliable support. This is exactly what HA401-LB2 has to offer. 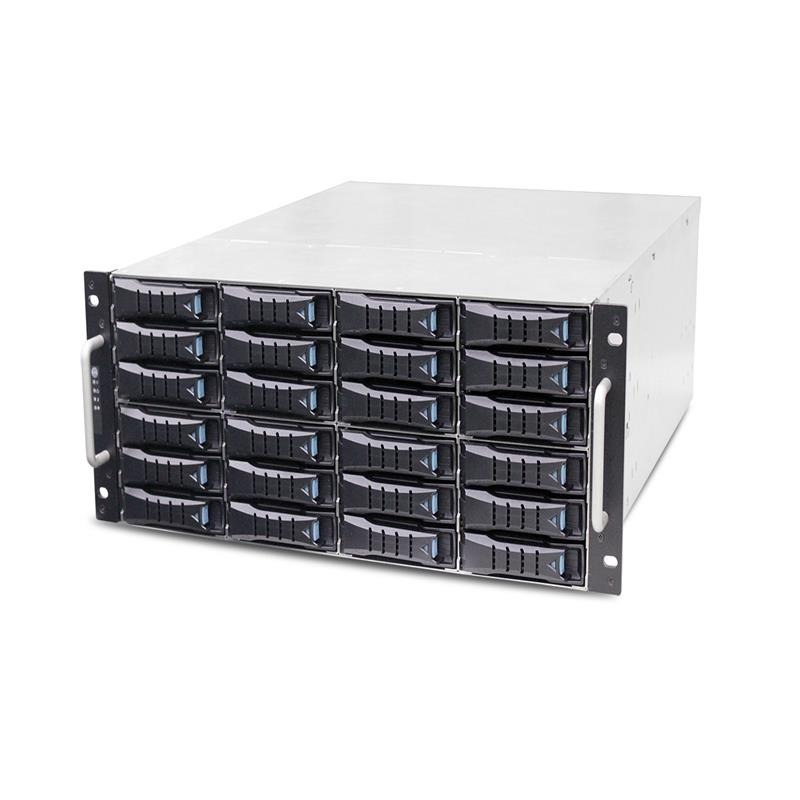 Open-E JovianDSS-based HA401-LB2 is an innovative hybrid storage system fusing the capacity of HDDs with the performance of SSDs in a single solution that offers high performance while lowering cost. Additionally, by leveraging capacity optimization technologies and advanced tiered SSD and RAM caching, HA401-LB2 provides an overall efficiency boost and increased cache performance. On top of that, powerful tuning tools allow the system to optimize on I/O heavy databases or high throughput video editing equally well and predefined profiles save annoying testing time. Managing Open-E JovianDSS and its extensive features is easy and intuitive compared to many competing solutions on the market. The WebGUI provides a quick overview and management of all storage resources and features. After extensive analyses of storage usage and user interaction the clicks per step in each functionality have been reduced to a minimum, i.e. in creating iSCSI targets or when expanding the size of your storage. This way, you are able to quickly and easily manage HA401-LB2 with Open-E JovianDSS, barely involving actions of a storage administrator. to perform checks on not accessed blocks. All actions are done in atomic writes to ensure consistency of your data and to reduce data loss, even during power cuts. Every Open-E JovianDSS-based HA401-LB2 allows an unlimited number of snapshots and clones – greatly simplifying back-ups, replications and data recreation in case of accidental deletes or viruses. Snapshots are read-only points-in-time and allow for easy roll-back. They are a must-have option for effective disaster recovery scenarios and in HA401-LB2 you may schedule snapshots for months, weeks, hours or even minutes. Whereas, a clone is a writable copy of a snapshot and allows to easily duplicate virtual machines and scale out for virtual networks instantly and without duplicating data. The tests with the HA401-LB2 were done in Active-Passive mode with one customer client. 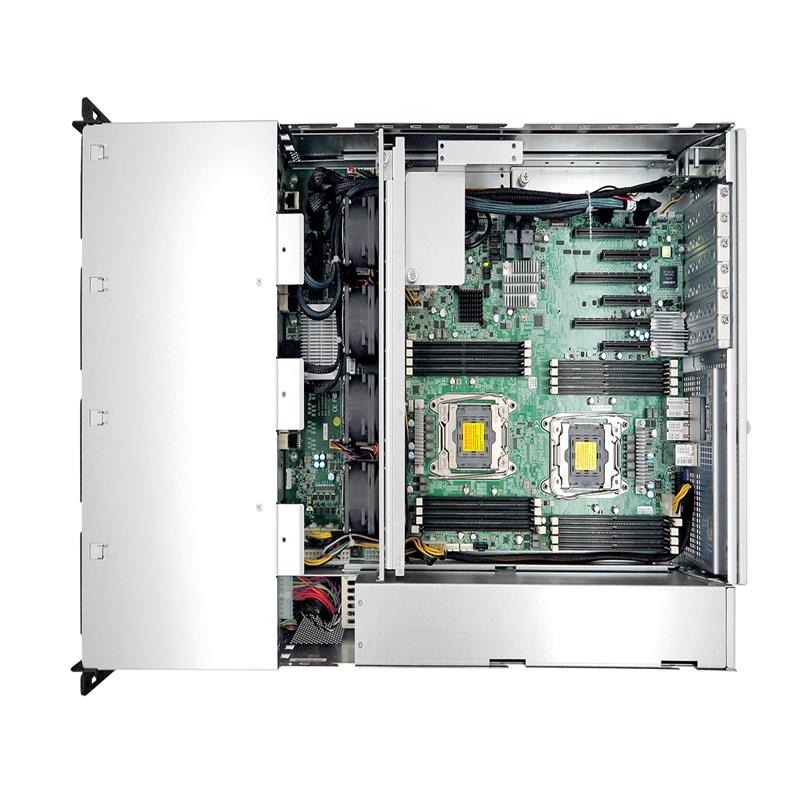 With an additional server you can gain 40% higher results due to more processors with more cores and threads. The tests were conducted with fio benchmarker. The system includes ATTO 40GbE cards. It did not contain SSDs for Read and Write cache, but performance of the server may increase with high performance SSD's. feature is especially interesting for highly repetitive data, i.e. in VDI, server virtualization or backup, where much higher deduplication ratios can be reached. 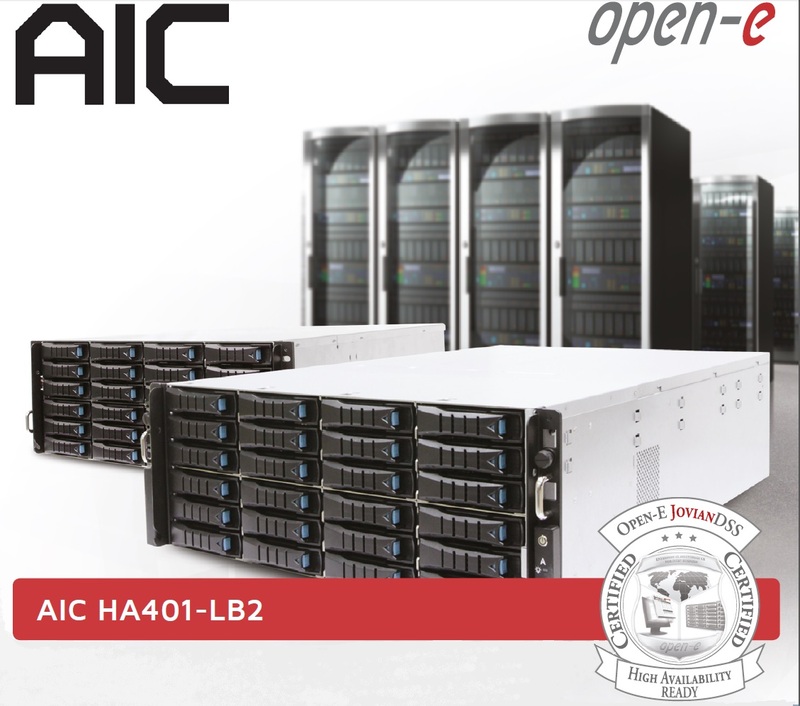 PCICase & AIC Taiwan launching their next generation of products at CLOUD EXPO EUROPE / DATA CENTRE WORLD 2019. PCICase UK Ltd Introduces The Short Depth Chassis Series. The Flash NVMe storage solution known as the 'Mission Peak', was presented to the public at Cloud Expo 2018 in combination with PCICase UK Ltd, AIC Taiwan and Samsung. 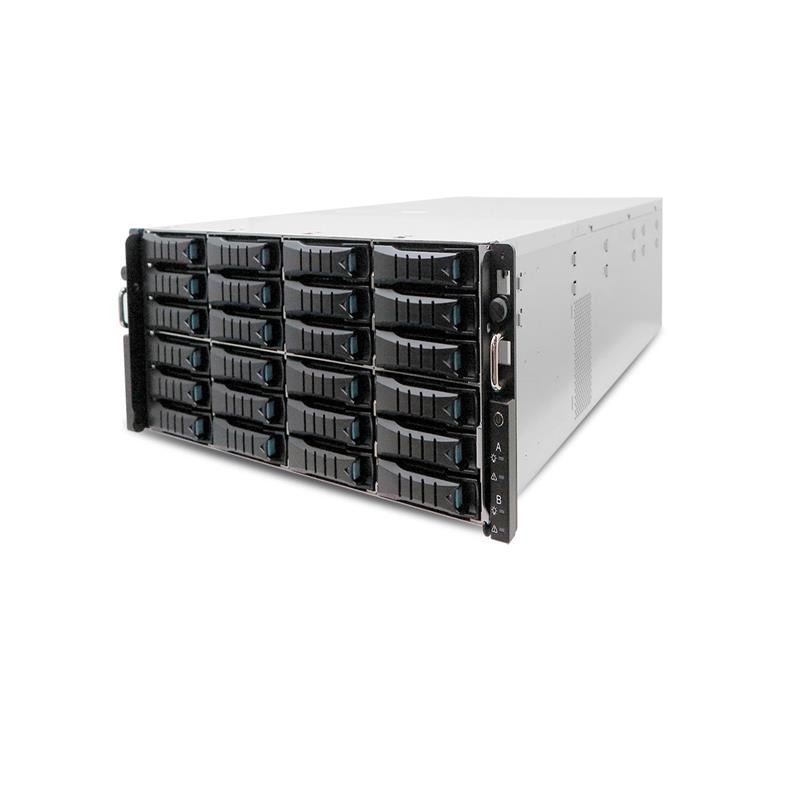 The market leading system, has 36 NF1 NVMe SSD's, and delivers a devastating 10M IOPS, whilst offering half a Petabyte of storage, within a 1U form factor.